WASHINGTON’S FIRST COMMERCIAL CANNABIS COMPANY IN SEATTLE’S FIRST INDUSTRIAL MANUFACTURING DISTRICT. 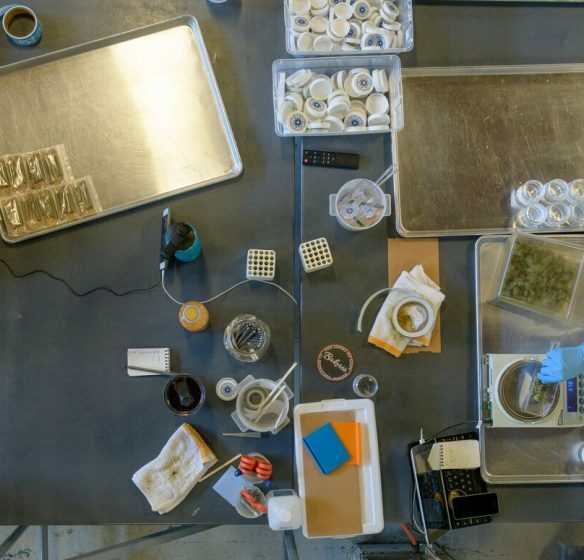 In 2012, when Initiative 502 passed, SODO quickly became a home for the cannabis industry. Today, SODO is home to over 50 cannabis companies, including Solstice. But for Solstice their story started before Initiative 502 passed. 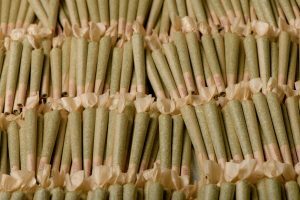 Formed in early 2011, they were the first commercial cannabis production company in Washington State, and today are an industry leader. 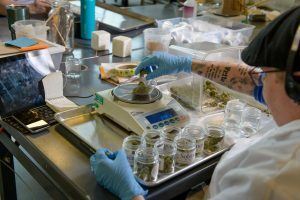 Throughout their success, they have also faced many challenges, but their dedication to cultivating quality cannabis is evident by the work they put into creating their product. When you enter their building, it is clear that Solstice took the time and preparation to create an environment within their facility that contributes to cultivating quality cannabis. They have separate rooms for each step of the process that it takes to develop cannabis into oils, creams, edibles and more. 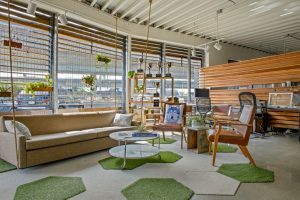 Their building utilizes advanced technology to conserve energy while also using environmental controls to elevate the process of growing cannabis. While creating a high-level environment for growth is necessary for their product, their focus on genetics and working with farmers is also important to the creation of a quality product. For Solstice, they started with the best varietal and strain they could find and developed a process to ensure the optimal use of the product. First, they plant and grow the cannabis in their facility, where it is moved from room to room based on its growth cycle. Once the plant gets to a certain size, they contract with local farmers to finish the growing process. 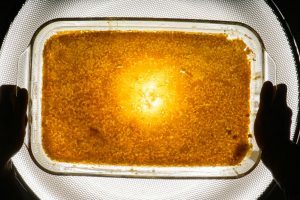 Upon maturity, the plant is brought back to their facility where employees then process it into the various products- oils, creams, edibles, etc. 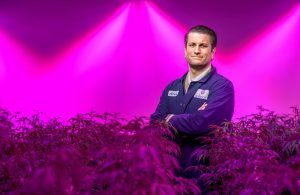 Alex Cooley, one of the founders of Solstice, states that anyone can work in the industry and be a part of cultivating cannabis and creating products. They have employees with degrees in biology, chemistry and agriculture, but also employees that have worked their way up in the company. For Alex, he had originally attended college to become a teacher, but while in school became interested in cannabis. After graduating, he realized he could make a career out of his hobby. Through reading books and seeking advice, he taught himself the growing process of cannabis, and how to operate a business. Alex admits that it can be hard to run the business with no formal background, but he loves that he is able to learn something new everyday. The commitment to learning has paid off for Alex and for Solstice, as they have won over seventeen individual awards for varietals and cultivation excellence. But even with this success, there are still challenges. 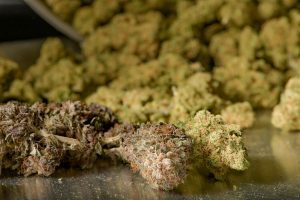 Working in the cannabis industry can be hard because there is still scrutiny and derision from outside sources looking down upon the industry. Additional challenges include the current over-regulation of the industry, and the overabundance of companies within the industry which has caused some destabilization in the market. But Alex knows he is exactly where he needs to be, at the forefront of the industry. He was involved in the crafting of Initiative 502 and being able to see it pass was a profound experience for Alex. One that motivates him everyday to keep making strides within the industry. All-in-all Alex loves what he does, and he couldn’t imagine a better place to do it in then SODO. He loves the grit and tenacity of SODO, which he believes mirrors his industry. He also loves that there are so many types of people and jobs in SODO, from blue collar and tech jobs to white collar and government jobs. Being a part of the history here helps to tell Solstice’s story and the inspiration Alex gets from being surrounded by legacy businesses in the industrial manufacturing district feeds into his own inspiration to grow his business. This is why Solstice is Made in SODO.